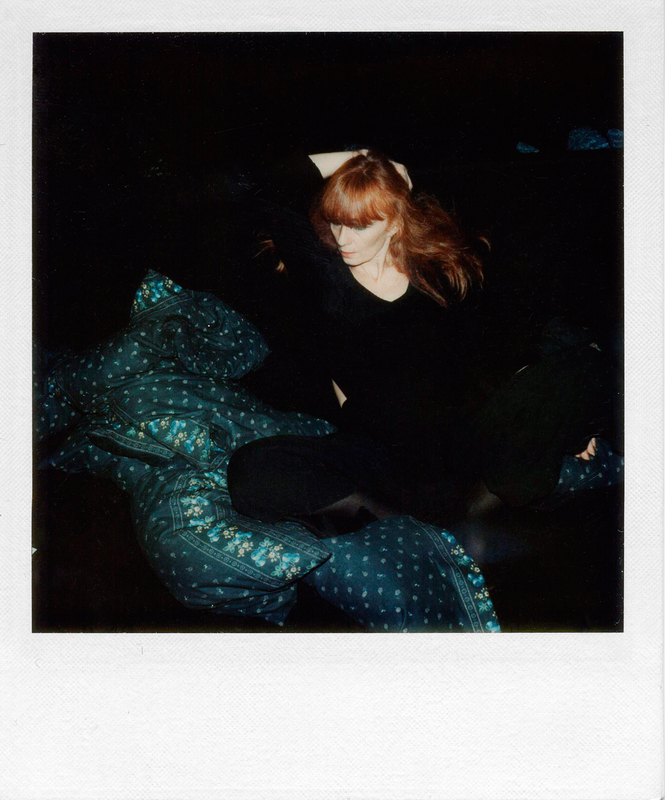 SONIA RYKIEL is a wonderful woman — all of Paris loves her. In the past year we’ve seen intense publicity surrounding the 40th anniversary of her fashion house, yet Sonia herself REMAINS A MYSTERY. My friend, the stylist Camille Bidault-Waddington spends a lot of time working with Sonia, so she and I thought that together we might succeed in painting a revealing portrait of this iconic French designer. PURPLE — A journalist once wrote that you were an “ungraspable woman.” What did he mean by that? PURPLE — Where is your family from, Sonia? SONIA RYKIEL — My mother was Russian. My father was Romanian. So I’m Slavic from head to toe. I’ve written that all women, maybe all creators have something Slavic about them, even if they aren’t Slavic. PURPLE — What does it mean to be Slavic? SONIA RYKIEL — It means to be hopeless and hopeful, to be amazing and to be destroyed, to not know what you’re saying and to wriggle out of a situation — always wriggling out — and then to play with everything; to get completely lost, at dinner, in a book, on a walk; to have no restrictions; to find a way through the pitfalls. PURPLE — What were you like as a child? SONIA RYKIEL — When I was little I would make tunnels in the sand and go through them to scare everyone. I have four divine, sublime, and very beautiful sisters. I am the oldest. I was the leader. I had the reddest hair. I was always doing something to get people’s attention. I would cut my sisters’ hair and I prevented them from doing all kinds of things. My mother would say, “What have you done now?” “Me? It wasn’t me. It was them!” I lied. My mother was both in despair and completely fascinated by me. When I was little she always said to me, “What are you going to do when you’re grown up?” She wrote to my father, “Sonia is four years old. She’s wonderful. But when she’s 20, I don’t know what we’ll do.” I was unbearable. I had a bad personality. I wasn’t seductive. I was a drama. PURPLE — What fascinated your mother about you? Your freedom? SONIA RYKIEL — She didn’t understand how I could be so bold and still be at the top of my class, which was really important to her. If I had been a bad student, it would have been terrible. PURPLE — This was in Paris in the Fifties, right? SONIA RYKIEL — Yes. I was born in Paris. I lived in the 17th arrondissement and in Neuilly. I went to a secondary school for girls in Paris and then to La Fontaine high school in Neuilly. Then I got married. PURPLE — Was the Second World War especially traumatic for your family? SONIA RYKIEL — Not at all. I was hidden. My family paid a lot of attention to what was going on around us. When there were problems we went to the country, where we had two houses. My family spent a lot of time in Grenoble, so we’d go back and forth. We were very aware of what was going on. We were very political, but we were also artists. I didn’t really pay attention. I only realized later how terrible things really were, when people started telling me, “You’re Jewish, but you’re not like the others,” as if the other Jews were dirty Jews. That stuck with me. PURPLE — What was May ’68 like for a young woman? SONIA RYKIEL — On May 25th, 1968 I opened my boutique on Rue de Grenelle. I closed it on May 26th, because there were cobblestones flying everywhere. I opened it again a month later. I also married a man. PURPLE — Was it your dream then to become an independent woman? SONIA RYKIEL — Not really. My sole ambition was to have ten children and never work. I didn’t know what it meant to work. I’d never done any. My mother had never worked, nor had my aunts. I’d never seen a woman work. I was going to marry a man who had money and that was that. And I married a man who did have money. His parents had a prêt-à-porter boutique called Laura on Avenue du Général Leclerc in Paris. It was very well known at the time because it was one of the first stores to sell prêt-à-porter. All the girls were crazy about buying clothes there, especially since it was on the boulevard from Paris to Orly, where they took the plane to New York. SONIA RYKIEL — I was married and I didn’t have anything to do. I didn’t want to continue studying. My husband wanted me to stay at his side. In the afternoon I’d have tea with my sisters at Angelina or some place like that. We’d stroll though the Galeries Lafayette, spending money. At night I’d pick up my husband at Laura and we would have dinner out. Then one day when I was leaving Laura a woman walked in with a big box. My husband said to her, “You’re a bit late.” She answered, “Yes, but listen. They’ve just come in from Italy.” I said, “What’s they?” My husband said, “Sweaters.” I asked to see them. They weren’t very interesting, but I thought sweaters could be something new to work on. I asked the woman nicely, “Would you make a sweater like this for me, like the one I’m wearing, really small — tiny?” She said, “Yes.” The prototype for the sweater went back and forth between Paris and Venice seven times. The last time it arrived at Laura a journalist from Elle was there and she asked me, “What’s that?” I said, “It’s a sweater I just made.” It made the cover of Elle. Then I was called the “queen of knits” by Women’s Wear Daily, without knowing anything about knits. PURPLE — You knew nothing about knits? SONIA RYKIEL — Not at all. But I knew exactly what I wanted. I’ve always known that. My sweater was very small and very tight, so it looked different: a bit androgynous, a bit tomboyish, a bit femme fatale — very mysterious, and both unprovocative and sexually liberating. PURPLE — Were they already under your name? 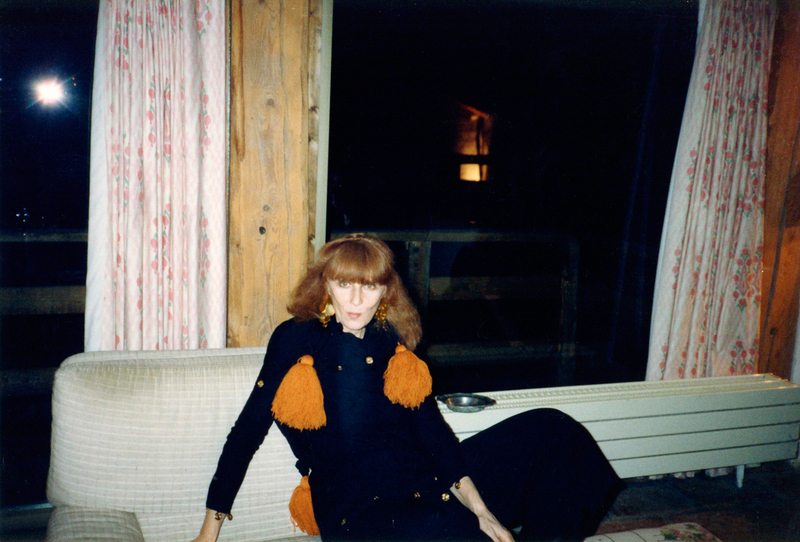 SONIA RYKIEL — Before I opened my own boutique I worked at Laura, my husband’s store. But even the two or three things I made for Laura were under my own name. PURPLE — Was success immediate? SONIA RYKIEL — One day Audrey Hepburn stopped into Laura and bought nine of my sweaters. That really started it all. Audrey Hepburn was one of the first well-known people to buy them. Soon after I was named one of the ten most sensual women in the world, along with Jeanne Moreau and Charlotte Rampling. PURPLE — Was it your ambition to be part of the emerging prét-à-porter revolution? SONIA RYKIEL — Not really. It took four or five years. After the sweaters, which were doing very well, I designed two dresses, and then a raincoat. Little by little, it became Sonia Rykiel. At the time the fashion system didn’t really exist. The runway shows were just starting up. Pierre Bergé, Yves Saint-Laurent’s partner, had the idea to create a group of seven designers who would do a show, in order to promote fashion design. He called this group Les Créateurs and he asked me to join. I said to him, “I’m not coming.” He said, “You’re the only one who won’t be in the show, but I want you in the group anyway.” So I was in the group, but I didn’t do shows with them. I did shows in my boutique on Rue de Grenelle. PURPLE — How did people respond to your shows? SONIA RYKIEL — It was fabulous. There was so much emotion because it was so right. But to do shows I had to have music. So I had someone bring all the music I loved — Ella Fitzgerald, etc. My lover was an Italian director. He worked at the Italian television station RAI and was very good friends with Billie Holiday and a lot of those people. It was marvelous. PURPLE— You were married and you started to be successful as a designer. What was the life of a Parisian woman like back then? SONIA RYKIEL — We had a group of friends that we saw fairly often. Then there were the kids — I already had two, Nathalie and Jean-Philippe. Jean-Philippe was blind. He was born prematurely and his eyes were burned in the incubator. There was nothing we could do. PURPLE — This was the early ’70s in Saint-Germain-des-Prés. Did you go out a lot? SONIA RYKIEL — I started going out, looking for new adventures. That’s when my husband asked for a divorce. Me, I didn’t want a divorce. I would never have divorced. But he decided otherwise. My divorce was very painful, because my husband and my children were upset. I was too, of course. And even without him I decided to go on by myself, and to commit myself to fashion. This is how Sonia Rykiel became Sonia Rykiel. 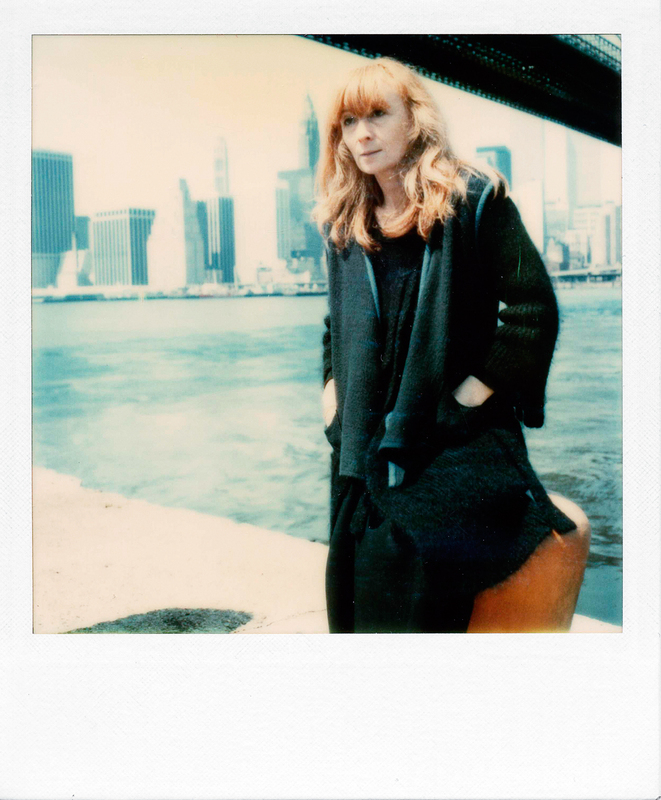 SONIA RYKIEL — Yes, I lived the life of a free parisienne. But I also started to work — all the time. For me work became a joy. I love it. I grew up in a family in which women didn’t work. They cooked and took care of the children. PURPLE — And your business took off. SONIA RYKIEL — That all started when we moved into our big boutique at 75 Boulevard Saint-Germain. I started to meet lots of writers, and fashion people like Karl Lagerfeld and Jean-Paul Gautier. It was amazing. We had to stop people from buying six sweaters at once. It was an extraordinary life. I had the sense that I was really in touch with what was happening. Even today, with this crisis, I’m in touch with what’s happening. I don’t know what should be done about it, but I feel like I’m in touch. PURPLE — You were associated with women’s liberation and so were your clothes, because they expressed something about freedom and spontaneity. SONIA RYKIEL — Yes, but something that isn’t natural at all — because I’m not natural. Naturalness is something that doesn’t interest me. I don’t think natural women are interesting. A woman has to learn how to walk. She has to learn to know herself, to find her best side. PURPLE — Is that why feminists were upset with you? SONIA RYKIEL — Who told you that? I’ve never upset feminists. I have a lot of friends that are feminist thinkers. PURPLE — I’m not sure feminists like the idea that women have to work so hard to make themselves beautiful. SONIA RYKIEL — I would say to any woman: spend an hour, two hours, three hours, six hours … a night, two nights … a day, two days, or a month in front of the mirror. See for yourself what’s beautiful about you, what’s ugly about you, what you should show, and what you should hide. Don’t step away from the mirror away until you know that. PURPLE — You’re tied into the Parisian intelligentsia, which is rare — fashion, except for Lagerfeld and Saint-Laurent, has been generally separated from the intellectual milieu. SONIA RYKIEL — When I began doing fashion, my boutique on Boulevard Saint-Germain was the place to be. Back then most designers were pretty isolated. They generally didn’t know many artists. At that time meeting people was easy for me. People were attracted to me and they came around all the time. PURPLE — Who were your friends? 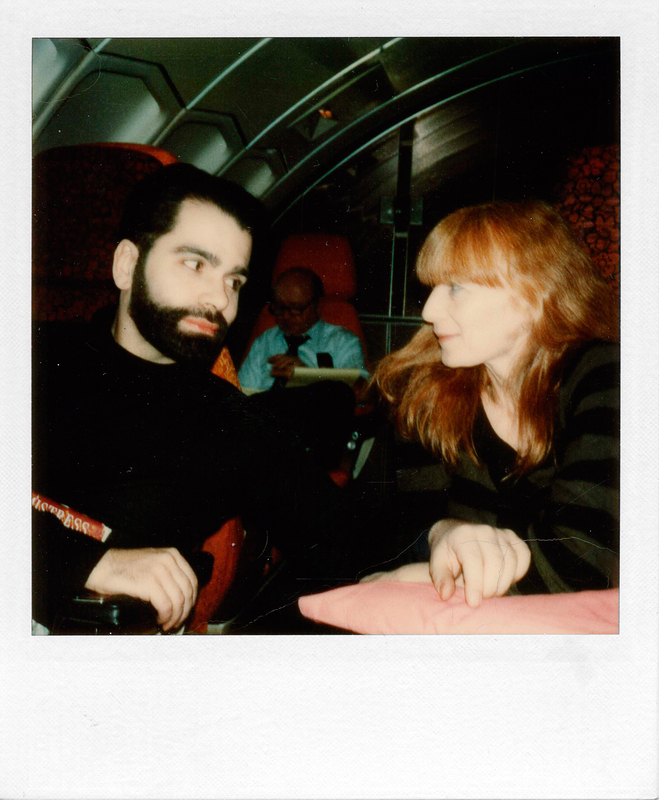 SONIA RYKIEL — I was friends with Karl Lagerfeld, and I still am. Saint-Laurent was fantastic. My best artist friends were Botero, César… and the writers Georges Pérec, Nathalie Sarraute, Hélène Cixous… I started to see the writer Régine Deforges with the scandalous book editor, Jean-Jacques Pauvert. The writer Madeleine Chapsal came around immediately after. The editor Christian Bourgois was a man I adored. When I opened my first boutique on Rue de Grenelle I said to him, “I want to put books in the window. If I can’t, I’m not doing fashion.” So he gave me the books that I wanted and we put them in the windows of my boutique. Since then I’ve always selected books for the windows. Not just any books — I choose the books that I read! Then there was Robert Altman, who was a friend of mine. He made the movie Prêt-à-porter. I was supposed to be the heroine. Anouk Aimée played my part. PURPLE — What about Warhol? He did beautiful portraits of you. 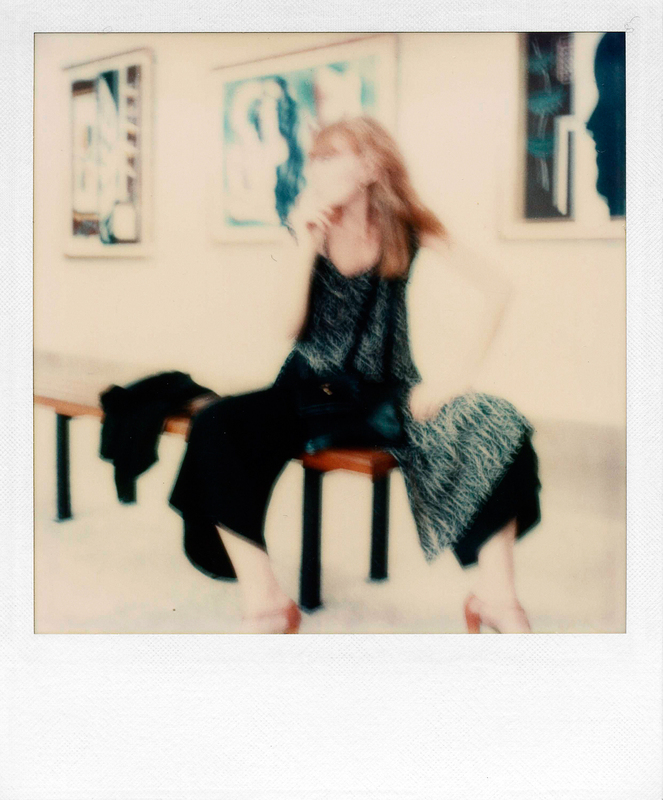 SONIA RYKIEL — I met him in New York. I loved going to New York. He said, “Come over to the Factory.” The next day I went over. He told me to sit down and move this and do that and in no time he’d made four paintings of me. SONIA RYKIEL — I agree with you, the Rykiel woman is me. But it’s also my daughter Nathalie, my stylist Camille… Hélène, Pauline… For Nathalie it comes naturally. She lived inside me for nine months. I was so happy to be pregnant that I didn’t want Nathalie to come out. I filled pages in my book about pregnancy. The Rykiel woman is intelligent — but intelligent with a social fabric that she invents. She has to be intelligent. She has to read and write and be up to date on things, and see a lot of things. PURPLE — Is seduction the purpose of your fashion? SONIA RYKIEL — Seduction is a word that’s used too readily. I’ve been told I’m a seductress. I don’t think so at all. If you only knew how little I care about seduction. But when I really like someone, I go for it. But, I don’t spend my time seducing people. PURPLE — You’ve now convinced me that a woman is never just picked up; she’s the one who makes the moves. SONIA RYKIEL — Yes, she makes the moves. In the blink of an eye a woman decides to go for it or not. A woman isn’t seduced, she’s the seducer. PURPLE — Is that because a Rykiel woman doesn’t suffer from insecurity? PURPLE — We were wondering which designers you connect with today. We thought that Margiela and Lanvin might have a focus similar to yours. SONIA RYKIEL — I’m sure that Lanvin does. I don’t know Margiela well enough to say. SONIA RYKIEL — You have to forget that she’s wearing a piece of clothing. The clothes have to be alive on her, they have to move with her. PURPLE — Are you saying that the clothing should disappear? SONIA RYKIEL — My girlfriends used to ask me what they should wear on TV. They don’t ask me anymore, because I always used to tell them the same thing: “Only black!” That way we don’t see you. We only see your eyes or your lips or your hair. PURPLE — Is black your favorite color? SONIA RYKIEL — Black or red or blue. Black is an extremely difficult color because it creates a hole. The painter Soulages said to me one day, “See — when you wear black, it makes a hole in space.” This is why I thinkg that the black has to be shiny; it has to sparkle. If you’re a redhead and your hair isn’t too dark, it works very well. Black is very beautiful for a brunette, too. When you were black, what stands out are your gestures, your attitude, your way of standing, of looking. PURPLE — You created the concept of la démode [non-fashion], which is your way to be evolutionary instead revolutionary, changing slightly from collection to collection, and, as you frankly say, to copy yourself. Instead of following trends you reinterpret your own collections. Only Margiela had a similar attitude toward copying, sometimes exactly reproducing found garments. A label on one of his pieces of clothing was a short explanation stating it had been exactly reproduced from another. You’ve said that you always wanted to do the same thing. SONIA RYKIEL — It’s not that I’ve always wanted to do the same thing again and again. Nor do I want to devalue what I did last season for the sake of fashion. What matters is being yourself. You have to be your own copy, but without seeming to repeat yourself. I’m an infinite copy of myself. PURPLE — That the copy is part of the creative process fits in with contemporary art — and with Warhol’s idea of a series being in constant reproduction. SONIA RYKIEL — Yes, absolutely. It was always like that for me. When we opened the boutique on Rue de Grenelle I was making things upstairs and selling them downstairs. There were three salesgirls. One in particular was really good at it. She would come up to see me every three minutes and say, “Sonia, they want everything! I could sell the whole boutique!” I’d tell her, “I don’t give a damn. Sell everything you can. If they like the red coat, we can make the same one in green, blue, black, brown. Say their all available different in colors, even if it’s not true.” I guess I’m a liar. But how else am I supposed to sell clothing? PURPLE — The idea of copying yourself, yet remaining faithful to what you’ve invented — of doing variations on a motif that you put out there — is interesting. SONIA RYKIEL — I’ve always been conscious of that. In any case, I’m very aware of what I do. I pay attention. I prepare. PURPLE — Is that why you never go out of fashion? SONIA RYKIEL — Why I don’t go out of fashion is because I really think I have a good sense for length — and duration. You can be out of fashion simply because your dress is too long or too short. Which is terrible. Lots of women don’t realise this very essential fact. PURPLE — You said something really surprising, that you wished that clothing could emerge from the body like hair or like fur but also like ideas, or like wool on a lamb. SONIA RYKIEL — Clothes should be so well-adapted to you that you should be conscious of the way you fit into them, the way you fasten them, so that they are a second skin. Clothes should look like a copy of yourself. They should be as tender on you as a lover or a friend. Knits are made to feel like they grow on you. A very tight sweater is wonderful on your skin. For example, say you’re wearing a sweater in a car with a man — or a woman — while they’re driving, you can be caressed on your back or your breasts and it feels like he’s caressing your own skin. PURPLE — Are you against women wearing bras? SONIA RYKIEL — Not at all. When I started out in fashion women didn’t want to wear bras anymore. So we took them away. It’s true, though, that I’ve never been too crazy about lingerie. It’s not really my thing. It doesn’t touch me. I find it uncomfortable — almost weird. The men I’ve known who loved lingerie always seemed a bit perverse. I don’t like perverse men. But I can’t say anything against lingerie, since Nathalie just completed a wonderful collection of lingerie that isn’t fussy — it’s an amusing and pretty collection. She made bras that you can wear directly under a jacket. So I have to say I’m not against lingerie anymore. PURPLE — Your first book is called And I Want Her Naked … [Et je la voudrais nue… 1979]. What does it mean? SONIA RYKIEL — And I would want her naked, this dressed woman. I mean, as if she were naked. What matters is the way a woman walks in her clothes. She has to give the impression that she’s naked in them. I liked being naked a lot when I was a kid. PURPLE — That’s something a man might say or want. SONIA RYKIEL— Certainly. I have nothing against men’s sentences. PURPLE — Let’s talk about love. Your runway shows always deal with love. Love seems to be a primary element in your vision of women, too. At one point in her interview with Paul Morand, Coco Chanel was very brutal and said, “Understand that a woman who isn’t loved is a woman who is lost.” Do you agree with that? SONIA RYKIEL — Yes. I think love is very important. You have to be loved — terribly loved. If a man tells you every morning, “You are the most beautiful woman, you are the most intelligent woman, or you are the most this or that,” you’ll be just that. Love makes you live fully. PURPLE — Is love joyful or painful? SONIA RYKIEL — I’m Russian, so inevitably it’s both. In any case, love goes really far, in pleasure and pain. You can do anything when you in love. PURPLE — When was the first time you fell in love? PURPLE — For a woman, is love almost more important than life? SONIA RYKIEL — No. You can’t make such a generality. Sure, love and life are really connected for a woman. But there are moments when a woman is in despair, when she can’t be in love, when she’s alone. It’s complicated. PURPLE — So according to you, what is love for men? SONIA RYKIEL — I wrote in my book something about it. Let me find it: “Love is the only child that men can have in their stomachs. It’s their only way to have a child. Unlucky are the men who never experience this voluptuousness. Men can only give birth to love, and carry it nine months, like a baby that comes to life. PURPLE — Have you had many lovers? SONIA RYKIEL — Quite a few, but I won’t count them. I always had intense love affairs that lasted a long time. PURPLE — Men often let themselves be unfaithful, even when they are very much in love. Do you recommend infidelity for women, too? SONIA RYKIEL — No, I don’t. I think it depends on each situation, and it that can change from one day to the next. I can’t answer that question so generally. Should a woman be faithful or not? I don’t know. I don’t have the answer. But if a woman is unfaithful, she has a good reason. You’ve met someone who interests you, and maybe it’s worth taking the risk, and going beyond convention. So I honestly don’t know what to answer, but, personally, I cheated a lot. I flirted a lot with men. PURPLE — Can you give us an example? SONIA RYKIEL — I remember a period in my life when I was love with two men in Paris, one in Italy, and one in New York. I’d buy them cigarettes at the airport. Each one had his favorite brand. Then one day, by accident, I gave the Murattis to the wrong lover. The relationship was over. But those affairs weren’t important. You know, some men in your life are there to spend a special time with you or even to bring you something special you wouldn’t find elsewhere. So you shouldn’t avoid that. You should say to yourself, Why not? It’s important to have experiences and to not exclude yourself from your own desires. PURPLE — Can’t it also be good for a woman to not be totally dependent on the one she loves and maybe to escape sometimes? SONIA RYKIEL — If a woman is strong enough to have different lovers, why not? It not only gives you pleasure, it gives you strength, energy, joy. PURPLE — Are love affairs linked to travel? 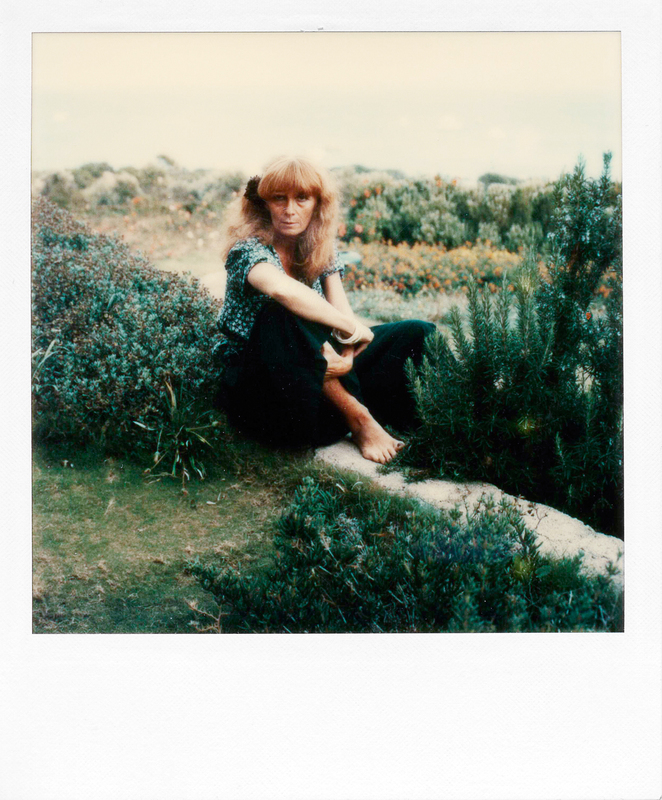 SONIA RYKIEL — I’ve traveled all my life. I’ve spent my life meeting people everywhere. I’ve always traveled back and forth between Paris and New York. Now, for the moment, I’m stuck here because of a pain in my leg that prevents me from traveling. I’ve always loved men who say to me, “Are you coming to spend a weekend with me?” You know, I love cars, too. PURPLE — That’s not the image people have of you. They see you more as a fixture in Saint-Germain-des-Prés. You’re talking about la femme départ, the woman who’s always on the go, always wanting to escape. SONIA RYKIEL — Yes. But don’t tell that to my kids, because I used to run away so many times and leave them with my sisters. A woman should always be ready to go. I always thought a woman shouldn’t prepare a suitcase, but should have everything in her bag. This is why I call myself une femme sac [a bag lady] and not une femme valise [a suitcase lady]. PURPLE — Why do you like your first book And I Want Her Naked … [Et je la voudrais nue… 1979] so much? Is it your philosophy, from A to Z? SONIA RYKIEL — Exactly. It’s still relevant. Nothing has changed. I want it to be reprinted, but the publisher doesn’t agree. PURPLE — Were you part of the hippie generation? SONIA RYKIEL — Yes, totally. I am what I am because of the hippie movement. I don’t think I would have done anything in fashion if I hadn’t known about about what was happening in San Francisco — how the boys and the girls sat next to each other, the music, the children, the drugs, the women in full skirts, the men just like the women, that way of dressing, the long hair, and so on. All of that fascinated me. The first pants I made were a bit Chinese — as were the big jackets I made for women. That got me going on the idea of things that don’t go out of style. PURPLE — It might all be something about the caravan between your Slavic origins and the San Francisco lifestyle. SONIA RYKIEL — I really love this idea of the caravan. I’m not a bohemian but I could be. This could be the starting point of another interview in ten years.